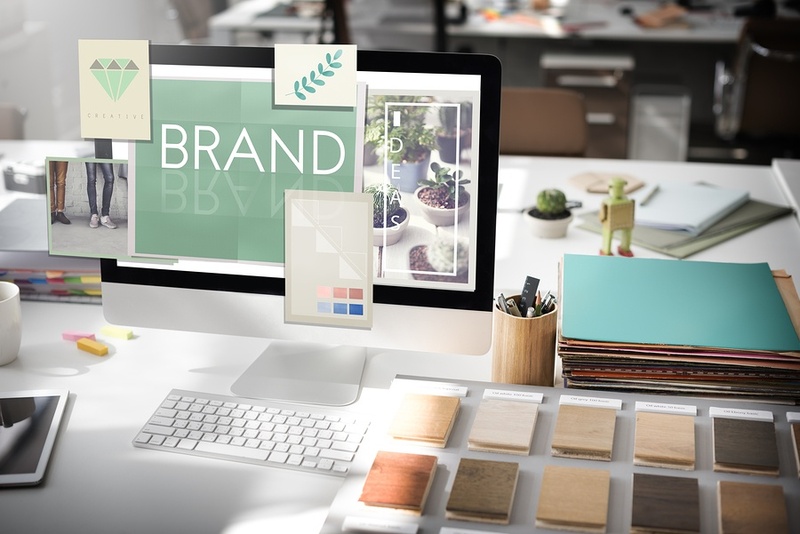 On a theoretical level, business owners know branding is critical to standing out in a competitive market, but on a practical level, do they know what branding really means? Defining branding is so complex because it encompasses all the little pieces that make your small business what it is. Branding is your company’s web design, but it’s also the way you greet customers as they walk in your front door. It’s what your employees wear, and what your building looks like (or if you even have a building at all). Your “brand” encompasses everything that makes up you, your brand’s image, and your employees. Larger companies can focus their brands around lower prices or have the fastest service, etc. – but I think for small companies the focus should be on delivering something better than what larger players can provide. For a coffee shop, that could mean making a better cup of coffee than Starbucks, or for a clothing store, it could be about finding high quality, unique clothes not stocked in major stores. No matter, what you do, if you can't in some way show that you're better than a big brand with millions of dollars in brand spend behind it, you'll most likely fail. The good news is that focusing on quality is easy. The bad news is that it takes a lot of time and effort, day in, day out to make sure you're always delivering a superior product or service. Branding starts with the logo. I’ve come across so many clients that think they are a designer – they put some clip art together in Microsoft Word and call it a logo. It should be more than just an illustration or some text. It needs to be visually appealing to your audience – not just you. We live in an era where branding is crucial, and we base our opinions off of what we see. Our attention span keeps getting shorter, and users are only getting smarter. Therefore, if the business’s brand is not visually appealing then users might think whatever they’re selling/promoting isn’t going to be either. Whether you are a national company with a large brand presence or a local plumber, your brand is a promise to your customers that they can have confidence in making a purchasing decision with you. When you establish your local brand and make your brand promise to your customer, they can hire you with less anxiety than they could with a random business off a Google search or even Craigslist. Much like our relationships with our friends and family, a successful brand requires consistent deposits into your brand promise. Steady and consistent deposits of quality service or quality product for your customers is what builds up equity in your brand. Your brand promise will compound over months and years, offering a differentiator between you and your local competitors. A business’s brand is its core values. Once you determine this purpose, every decision you make, from hiring to advertising and social media posts, should come back to this core value, which in turn becomes your brand. Branding a business has to be a coherent and consistent message. The experience customers have with your business – whether positive or negative – is your brand. As a small business, you are initially met with skepticism from many customers. If your brand isn't airtight, it can be devastating for a small business in terms of lost sales. When you build your business, you are in essence building your brand. In today's saturated market, the chances of you selling something unique are slim, and your reputation is what sets you apart. Consumers in the digital age are continuously bombarded with content, which makes them more skeptical of marketing. This is especially true for millennials who have a strong sense for identifying a genuine brand from a brand crafted to sell. To me, branding is the holistic way in which a business develops a two-way relationship with their target audience. This ranges from visual content to internal business strategy. For a small business, it’s extremely important to build trust in the competitive digital landscape we live in. Whether you’re B2B or B2C, you have to think about your customer’s experience from the first touchpoint to the last touchpoint. It could be the quality of coffee in your office, how easy your proposals are to read, or just how easy your product is to open – as a small business, a unique and thoughtful experience is a great differentiator that can be hard to scale for big businesses. Your brand is also what you know. What you do, say, and demonstrate better than anyone else. Whether it’s a dry cleaner that gets out tough stains or a boutique consultancy that specializes in the industry, customers want the best. Markets are becoming more fractured, and developing niche expertise is a great way to develop a deep brand that stands up against any competition. Branding means having an instantly recognizable voice, in both text and visuals, that your audience sees as your company. From a visual standpoint, brands can choose to be well-styled or more candid. They can choose to be light, airy, and breezy, or dark, dramatic, and intense. If all buying decisions are tied to human emotions, creating your brand to elicit strong emotions (good or bad) from your audience is a smart move. If you haven’t thought about your business’s brand beyond copy and web design, it may be time to take a closer look at your business’s personality and how your customers perceive it. Across the board, all nine experts agree that your brand is built on the connections you make with your customers. If your sales are lagging, there’s a good chance your branding may be falling flat. The Alternative Board (TAB) can help you build out your brand to boost sales and your bottom line by putting you in touch with other business owners who have been there and done that. Learn more about TAB’s executive peer advisory service by contacting a local board.